Groove Armada, Fatboy Slim Vs. Kidda, The Jackson Sisters, Tipper, Lindstrom and more. 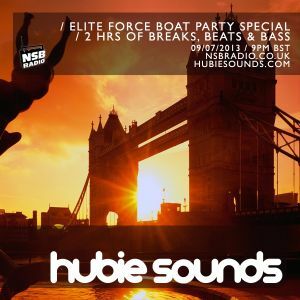 Hubie returns to the www.nsbradio.co.uk interwaves to present the unofficial warm up to the Elite Force Boat Party 2013. In this show, Hubie spins a selection of classic Elite Force tunes both old and new, as well as his usual eclectic selection of summertime funk, disco, big beat, glitch hop and breaks.